In August of 1986 Michael Morton’s wife, Chris, was murdered in their home. He had turned 32 the day before. Shortly afterwards he was tried and convicted of killing her as his son slept in the next room. It would take 25 years and a few very dedicated volunteers to prove his innocence; culminating in his release from prison in 2011 just one day after his 57th birthday on October 3rd. It took 25 years for justice to be done. This is a book which will set you back in the way you may think about the issues of prisoner’s legal rights to continued appeals; long after conviction. 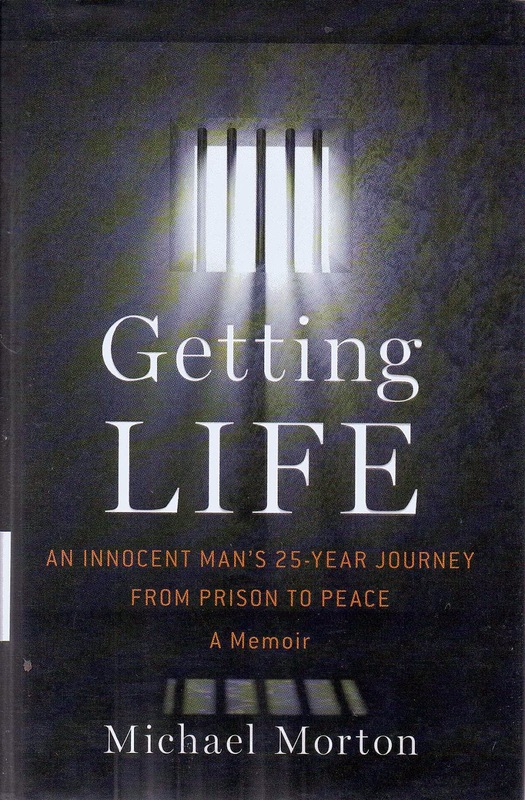 When I began to read this book I felt that most people behind bars are there for a reason. And I still feel that way. But I also felt that most prisoner appeals were just attempts to gain freedom based on legal technicalities. Boy was I ever wrong! Mr. Morton’s journey will take you on a ride through a complicated and often broken legal system. It’s a system where small minded local Prosecutors and District Attorneys; always vying for re-election; can be led down the path of injustice by local law enforcement to convict the wrong person; sometimes by design, other times by incompetence. In Mr. Morton’s case it seems to have been a willingness on the part of the Prosecutor to allow the Sheriff to suppress and deny the facts of the investigation to the Defense; a clear violation of the Brady Rule. But it would take 25 years to unearth the documents and prove the point. The author writes plainly and achingly about his ordeal. First as a grieving husband and father; next as a wrongly accused man fighting to keep the remnants of his torn family together as he battles a system seemingly intent on destroying him. And lastly he describes his time behind the walls of Huntsville prison in Texas, introducing the reader to the way of life inside. The rituals, the social mores, the unwritten rules of prison life are a fascinating subject. Much like life aboard a Navy ship, prison is a place where privacy is the most valued commodity; and the inmates have their own unique ways of gaining it. The most important challenge which Mr. Morton faced was the ability to keep some sort of hope alive at the same time he was forced to accept his current situation. How do you live in perpetual expectation that your nightmare will someday end when reality clearly points to the opposite conclusion? Through books and continuing education he was able to navigate a system which no one ever expects to have to deal with. At the same time as he is working on his appeals and requests for DNA testing; which should be the norm rather than the exception in all cases; he is also faced with the loss of his son. Eric was 3 years old at the time of the crime and had been living with his maternal grandparents ever since his father’s incarceration. His wife’s family was asked; and agreed; to withhold certain facts which could have had a profound impact on the original trial. Evidence was suppressed; witness statements unshared with the Defense; and crucial leads and clues ignored. When the court awarded custody of the child to the maternal grandparents, they began a steady barrage of telling the boy that his father had killed his mother. By the time the boy turned 15 he chose to forgo the twice yearly supervised visits. He was not discouraged by the grandparents. Even after Mr. Morton is set free it would take another journey to set things right between himself and his son. The point of this book is that there are thousands of cases like this, where the evidence exists to exonerate the wrongfully convicted, but the money to prove it is scarce. Thankfully there are volunteers and organizations, such as the Innocence Project, to help free some of the most egregious cases. And luckily for Mr. Morton they chose his case to investigate. A compelling read; I recommend this book to anyone with any doubts about the issue of the wrongfully convicted. There are more of these cases than we care to admit, and more work to be done than resources to accomplish it. You will ache at the injustice within these pages, and then revel in the author’s vindication after so long a fight.